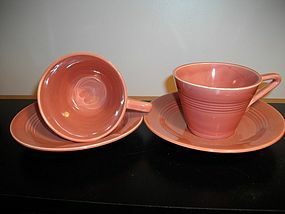 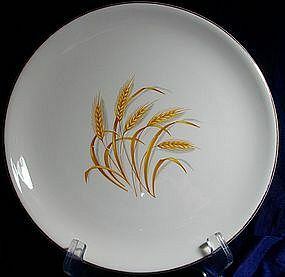 Homer Laughlin Fortune Pattern Dinnerware. 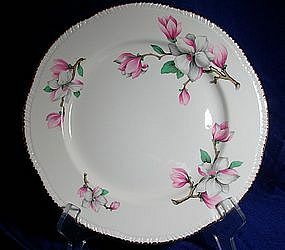 I have the following pieces available: 6 dessert plates 5 saucers 4 berry bowls 5 soup bowls 1 cup Please e-mail for complete descriptin and pricing, most in good condition. 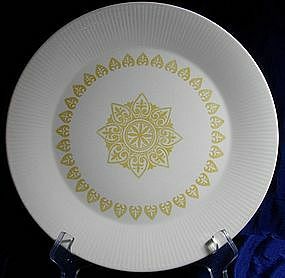 This is a great pattern to start your first collection! 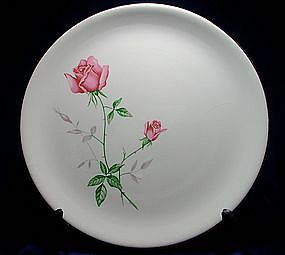 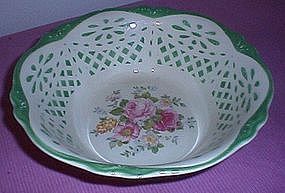 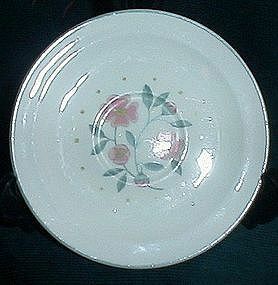 Homer Laughlin Tudor Rose Pattern Saucer, light wear. 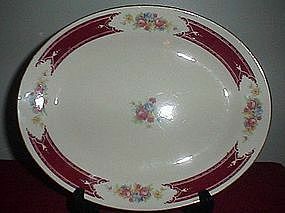 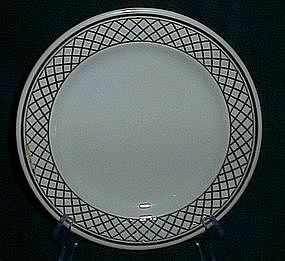 Homer Laughlin Best Restaurant Dinner plate in Brown lattice pattern. 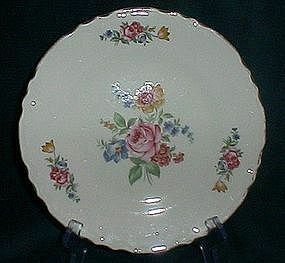 No chips or cracks, a smudge in the ring from manufacturer. 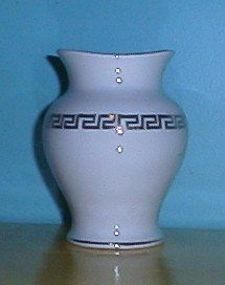 The bottom of this vase is marked Homer Laughlin 10 6 N. It has a gold greek key design with gold on the rim and base. 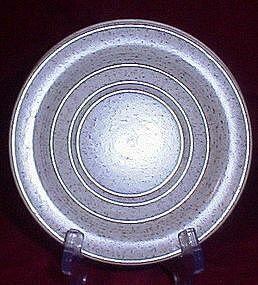 It stands about 5" tall. 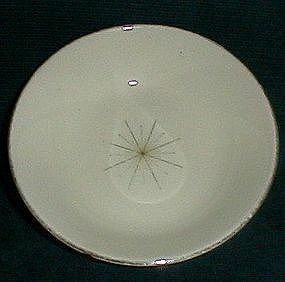 No chips or cracks but has some smudges from the gold under the glaze and is starting to develop crazing. 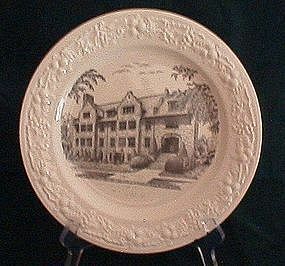 This may be a chamber piece dating to the earlier 1900's. 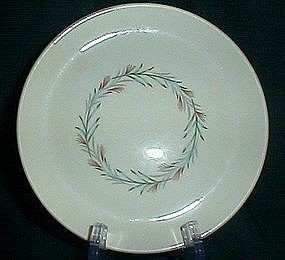 Homer Laughlin Restaurant ware saucer, pattern J83 in a brown speckled on cream background, perfect condition.